(TriceEdneyWire.com) - On September, 18, 1960, when Fidel Castro led a Cuban delegation to New York City to speak before the United Nations, they stayed at the Hotel Theresa in Harlem, where they met with Malcolm X, poet Langston Hughes and other African-American leaders. The meetings and their location caused an immediate sensation, although details of the conversations are not known. Two Black reporters and a Black photographer attended the meetings, according to the book “Memories of a Meeting Between Fidel and Malcolm X,” published by Black Classic Press. 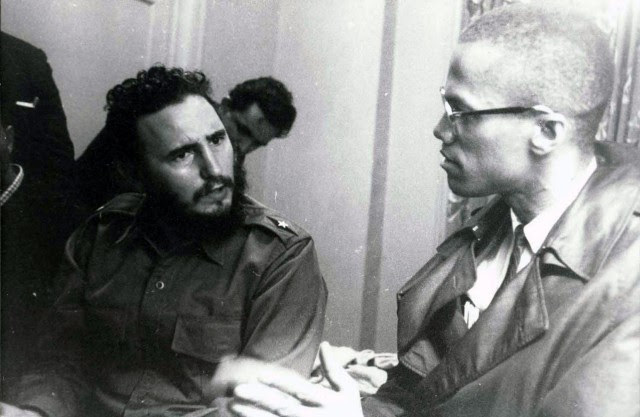 Castro and Malcolm X spoke to each other through interpreters. Castro also walked Harlem’s streets, shaking hands and talking with residents while drinking orange juice, according to Pan African News Wire. Thousands of Harlem residents gave Castro a rousing reception. They stood in the pouring rain outside his balcony window to cheer him. They were unfazed by the government’s red baiting. U.S. Vice President Richard Nixon believed Castro was leaning towards Communism. But Castro did not declare himself a Communist until late 1961. Castro, who had overthrown the corrupt U.S.–backed government of Cuban dictator Fulgenico Batista in 1959, delivered on September 26, 1960, a scathing more than four-hour speech at the United Nations concerning U.S. aggression and imperialism. Castro, Cuba’s Maximum Leader, who launched his revolutionary overthrow of Cuba’s government in November 1956 with an army of 82 recruits, died after a long illness Friday in Havana, Cuba’s capital. He was 90. Castro led the country for 50 years, defying the power of 10 U.S. presidents and numerous attempts to assassinate or overthrow him, including the failed Bay of Pigs invasion in 1961, ordered by President John F. Kennedy. The announcement of Castro’s death sparked celebrations in Miami’s Little Havana and days of mourning in Cuba. President Barack Obama visited Cuba in May and met with Raul Castro, Fidel’s brother. 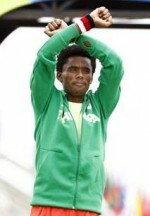 Raul succeeded Fidel in 2008 because of his brother’s illness. President Obama extended his condolences to the Castro family. “Today, we offer condolences to Fidel Castro’s family, and our thoughts and prayers are with the Cuban people. In the days ahead, they will recall the past and also look to the future. As they do, the Cuban people must know that they have a friend and partner in the United States of America,” said President Obama.